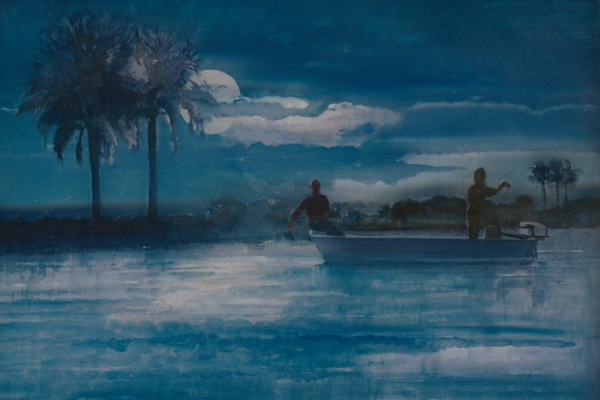 Fishing A Florida Lake at Night - Quiet and Serene Until the Fish Strikes - Thrilling! Avid anglers like to night fish. I had reatives who swore by it. This painting accompanied a story for Outdoor Life Magazine.